On October 17, 2018, which is just 1 short day away, cannabis becomes legal across all of Canada. Cannabis legalization marks a huge shift in public policy, law, and will propel an industry that has existed in the shadows, into the limelight. While both federal and provincial governments have been candidly saying that legalization will not be perfect right away and will be a work in progress, most Canadians are viewing legalization as a step in the right direction as so many lives have been negatively affected by cannabis prohibition. So, what will happen on October 17? The naysayers want you to believe that there will be a proliferation of crime in the streets. Stoned zombies walking around town. A dramatic rise in impaired drivers. However those that are educated on the subject know that the sky won’t fall and society will continue to function just as it did today, on October 16. What will change is that the millions of cannabis consumers in Canada won’t have to worry about being arrested (if they stay within the parameters of the new cannabis laws) and communities that allow for retail sales will be able to collect millions in tax dollars that can be pumped right back into public programs and infrastructure. 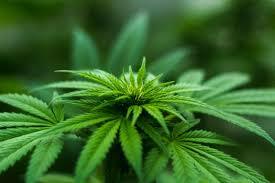 For a variety of reasons, there remains a considerable stigma associated to cannabis consumption. However as time goes on and people realize the benefits that legalization will bring, I predict that the stigma erodes and that society will regard cannabis favorably. In early July, the BCSPCA announced charges against Mr. Hopcraft under the Prevention of Cruelty to Animals Act and the Veterinarians Act after viewing a video posted on Mr. Hopcraft’s “Wild Education” Facebook page showing him relieving a blood python of a bowel obstruction. Contrary to what the BCSPCA has alleged, this procedure did not cause the python any harm, pain, nor discomfort. In fact, the python was relieved of a 6-month build up of excrement in its bowel track, which was surely causing it incredible discomfort. Today, the python is alive and well, as confirmed by its happy owners. While Mr. Hopcraft takes these charges very seriously, we take the position that this is nothing more than the BCSPCA’s attempt to, once again, slander Mr. Hopcraft in the Court of Public Opinion and try to put him out of business. As many of you know, Mr. Hopcraft has considerable knowledge and more than 18-years experience in handling and caring for exotic animals. For years, Mr. Hopcraft has been educating the general public on television, in your children’s schools, and at your community events. Over these years, Mr. Hopcraft has consistently demonstrated that his primary objective is to ensure the well-being of his animals, many of which come to him as neglected or abandoned pets. Furthermore, since the BCSPCA publicly announced charges against Mr. Hopcraft, numerous veterinarians in British Columbia have reached out and denounced the BCSPCA’s allegations towards him. Their consensus is that the python suffered no harm, and that if the python were to be sedated in any way (which the BCSPCA suggested ought to have happened) that the python could have experienced complications and/or died. Mr. Hopcraft will meet these charges in a court of law and until his trial date he is to be presumed innocent. Finally, Mr. Hopcraft, and his Wild Education organization, will proudly continue to care for its animals and he looks forward to continuing to educate you all about them. Impaired operation of a vehicle/vessel is illegal in British Columbia, the Yukon Territory, and really, across our entire nation. However, you may be surprised to learn that police agencies haven’t always exercised their discretion when determining what constitutes a “vessel”. We all know it is against the law to drive your motor vehicle while under the influence of alcohol, and common sense dictates that this also applies to motorcycles, and motorized boats – but did you know that it is (apparently) just as unlawful to knock back a few and go for a ride in your canoe? Yes, the word “vessel” does not limit illegality to motorized methods of passage. Police agencies across Canada have been known to charge individuals for tipsy transport via canoe. If you make the smart choice to ride your bicycle to/from the bar, and your swerving attracts the attention of police, you might be ticketed with public intoxication – but not impaired driving. If you get caught canoeing down the Fraser River, you could potentially be charged with impaired operation of a vehicle/vessel – and if convicted, you would likely lose your driver’s license. Even though you don’t need a license to operate a canoe, it probably isn’t smart to be drunk on the water. While you’re unlikely to harm anyone else, open water and alcohol don’t mix very well. You could end up paying big penalties for impaired operation of a canoe, the highest of which would be your life if you happen to fall overboard. But, if you don’t heed my advice & find yourself being breathalyzed canoe-side – “thar she blows…. over .08”, contact our office to discuss your options. We are conveniently located in Richmond, B.C. only a few steps away from Brighouse Station on the Canada Line, which brings you from various locations in Metro Vancouver in 20 minutes. We service all areas of the lower mainland (including but not limited to Surrey, New Westminster, Port Coquitlam, North Vancouver, and Abbotsford) the interior of B.C. (including but not limited to Cranbrook, Kelowna, Kamloops, and Salmon Arm), Northern B.C. (including but not limited to Prince George, Prince Rupert, and Quesnel) and in the Yukon Territory where we offer services in Whitehorse, Dawson City, and Old Crow. Contact our office today for your initial consultation. A Justice of the BC Supreme Court refused to label Allan Schoenborn as a “High Risk Offender”, meaning that designation has still not been successfully applied since it was introduced by the Harper Government. Allan Schoenborn was found guilty, but not criminally responsible for the murders of his 3 young children, whom he believed had become victims of sexual abuse. Psychiatrists who assessed him unanimously agreed that he had been suffering from delusions and other symptoms consistent with a schizoaffective type disorder. As a result, it was determined that he did not bear legal culpability for his actions. Although he was found to not be responsible for his actions, he was remanded to Colony Farm, a Forensic Psychiatric Hospital, for an indefinite period of time (as is standard with all NCR offenders). The purpose of the Not Criminally Responsible, High Risk Offender legislation is aimed at designating offenders found not criminally responsible by reason of mental disorder as “high risk” if it can be proven that they pose a serious threat of inflicting grave physical or psychological harm to another person. This legislation is strictly applicable to offenders found not criminally responsible – in essence, it is punitive legal recourse only available for individuals who have already been deemed as severely mentally ill. In her decision, Justice Martha Devlin determined that there was no reason to believe that Schoenborn met the criteria necessary for a High Risk designation. She noted that his current mental condition, along with the opinions of the experts overseeing his care, does not reflect him posing a serious threat to the public. If the designation had been granted, it would have excluded Schoenborn from receiving escorted outings into the community, and would create a 3 year period between his review board hearings, as opposed to 1 year as is current procedure. One of the biggest concerns we see in this legislation, is the effect it may have on offenders who should be entering a plea of not criminally responsible. The problem is that if an offender is likely to meet the criteria of a High Risk Offender once being deemed NCR, they may opt to take a determinate jail sentence simply because a High Risk Offender designation could seriously impede their ability to regain freedom from the psychiatric facility where they are being held. If an Accused person is told “plead guilty and you’ll get 10 years in jail” or given the option of “if you establish a NCR defence, there is a risk of a High Offender Designation, and I can’t tell you with any certainty whatsoever when, or if, you will ever be freed”, which option will likely seem more attractive? Interestingly enough, Mr. Schoenborn’s high profile case was basically singled out by Stephen Harper when the “High Risk Designation for NCR Offenders” legislation was tabled in 2013. The decision by Justice Devlin demonstrates why impartiality and transparency are vital to the survival of judicial process: although the facts related to this case are heinous and disturbing, a path has been carved for Mr. Schoenborn, and Justice Devlin refused to hinder his progress. His NCR designation was not established in haste, and each step of his treatment since that time has been methodical and closely monitored. He requires intensive treatment and rehabilitation in order to, one day, have an opportunity at freedom. Navigating through the criminal justice system as an Accused person is an intimidating experience. It is compounded when you are dealing with a mental illness. We are experienced in liaising with clients who suffer from severe mental health problems. We understand that compassion, respect and understanding are of fundamental importance when confronting with these issues. We are conveniently located in Richmond, B.C. only a few steps away from Brighouse Station on the Canada Line, which brings you from various locations in Metro Vancouver in 20 minutes. We service all areas of the lower mainland (including but not limited to Surrey, New Westminster, Port Coquitlam, North Vancouver, and Abbotsford) the interior of B.C. (including but not limited to Cranbrook, Kelowna, Kamloops, and Salmon Arm), Northern B.C. (including but not limited to Prince George, Prince Rupert, and Quesnel) and in the Yukon Territory where we offer services in Whitehorse, Dawson City, and Old Crow. Contact our office today for your initial consultation. The Vancouver Police Department announced that it will be using a new form of intelligence to stop crime before it happens. No, it isn’t the formation of the Psychic Task Force. 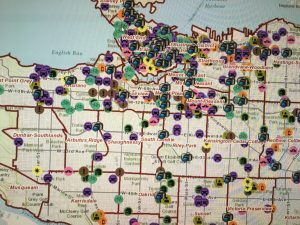 It isn’t any sort of “Big Brother” surveillance method (I think) – rather, the VPD has declared it will be the first law enforcement agency in Canada to utilize a “crime prediction model” that will tip officers off to property-crime offences before they happen. Unsurprisingly, the public has been given very little information about what this new tool is able to do. So far, all we have been told is that it is a computerized program that was apparently very successful in its 6 month pilot project. The program identifies both residential and commercial areas that display a high-likelihood for property crime. Surveillance areas are set up within a 100-500 meter perimeter, and officers are then dispatched to those areas for visible public presence. The presence of police, of course, acts as a deterrent for thieves and vandals. While this may seem like a weak method of combatting serious and ongoing theft and vandalism, preventative measures are only deemed necessary once an issue has spiralled out of control. 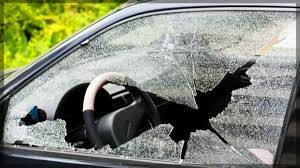 It isn’t unusual to see “petty” crimes, such as minor theft, escalate into more serious situations that can include violent offences as well – for example, a man breaks into a vehicle looking for valuables, but the owner of the vehicle happens to come down to his car as the crime is in progress. An altercation ensues, police attend, and the charges include break & enter, theft, AND assault. By preventing the theft, the entire situation could have been avoided. Ideally, this tool will aid police in preventing some crimes from happening, but realistically, crimes will still occur in the areas that aren’t padded by police presence. It is commonplace that first-time offenders rarely have a good understanding of the judicial process. Although it would be fantastic if everyone was fully apprised of their rights and obligations under Canadian law, it is unrealistic. However, I hope that this post will answer a few very common questions we receive on a daily basis. Q – I’m looking at my Court documents, and it appears that I am being charged by someone named Regina. Who is she? I don’t even know anyone by that name? A – Regina is the latin word for Queen. As Queen Elizabeth II is the reigning Monarch, Regina is the term used in legal context. When a male takes the throne, the term will change to Rex, the latin word for King. Q – My wife and I got into a really heated argument and the police were called. I was arrested and charged with assault, and now there is a no-contact order between us. My wife and I met for dinner last night to talk things over, and we agreed that it was silly to call the police. She would like to drop the charges, how can she do this? A – In British Columbia, individuals do not press charges, and neither do the police. The police investigate, prepare a report, and recommend charges to Crown Counsel. Crown Counsel then reviews the information and approves or denies charges based on the strength of the evidence. There must be a reasonable likelihood of conviction to pursue prosecution. In short, your wife cannot “drop the charges”. Additionally, since there is a no contact order in place, you cannot contact your wife, directly or indirectly, until the order is lifted. Ignoring the no contact order could result in a Breach charge, landing you in jail. Q – I’ve been charged with an Indictable Offence. Is that a misdemeanor? A – The terms “misdemeanor” and “felony” are not rooted in Canada. Those terms are used in the United States. An indictable offence is very serious and carries significantly higher penalties than the less serious “summary offence”. One major difference is that summary offences can only be tried in Provincial Court by a Judge, whereas indictable offences can be tried in Supreme Court by a Judge an Jury. There are also “hybrid offences” which can be prosecuted by summary or indictment – impaired driving is one example. The choice to proceed by indictment is usually because of aggravating circumstances such as a car accident resulting in injuries. Q – I was arrested for impaired driving and given a Promise to Appear (“PTA”). Several weeks later, I was contacted by the police who told me that the PTA has been cancelled. Does this mean my charges are dropped? A – In short: no. Your PTA was likely cancelled because the police and Crown Counsel are still in the early stages of their investigation. Once an Accused person has attended their First Appearance, the judicial-delay clock starts ticking. The Supreme Court of Canada recently advised that proceedings in Provincial Court should run from start to finish in no more than 18 months – this means that you must be charged, and proceed to trial within 18 months. If the proceedings take longer than 18 months to be heard, there is probability for the case to be thrown out due to delay. In Superior courts, the proceedings should be completed within 30 months. So, while your PTA has been cancelled, it does not in any way mean that you are off the hook. There is no statute in Canada that prohibits the commencement of prosecution of criminal offences. In the United States, there is no statute of limitations on murder, but there is on sexual assaults and other serious criminal offences. Hopefully the above information has answered a few of your questions, but likely not all of them. Of course, there are many complex questions that deserve a much more thorough explanation, and we are here ready to answer them. 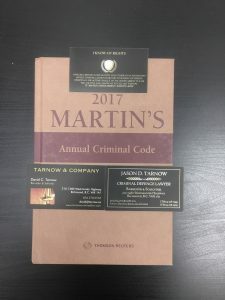 Whether you have been charged with a minor offence under the Criminal Code such as theft under $5,000, assault, mischief under $5,000 or a more serious offence such as aggravated assault, sexual assault, assault causing bodily harm, or murder, it is crucial that you speak to one of our lawyers prior to making any statements to the police (which we will advise you not to do in any event), or anyone else for that matter. Because, although you’ll hear it from the cops first, I’m telling you again: what you say CAN and WILL be used against you. We are conveniently located in Richmond, B.C. only a few steps away from Brighouse Station on the Canada Line, which brings you from various locations in Metro Vancouver in 20 minutes. We service all areas of the lower mainland (including but not limited to Surrey, New Westminster, Port Coquitlam, North Vancouver, and Abbotsford) the interior of B.C. (including but not limited to Cranbrook, Kelowna, Kamloops, and Salmon Arm), Northern B.C. (including but not limited to Prince George, Prince Rupert, and Quesnel) and in the Yukon Territory where we offer services in Whitehorse, Dawson City, and Old Crow.